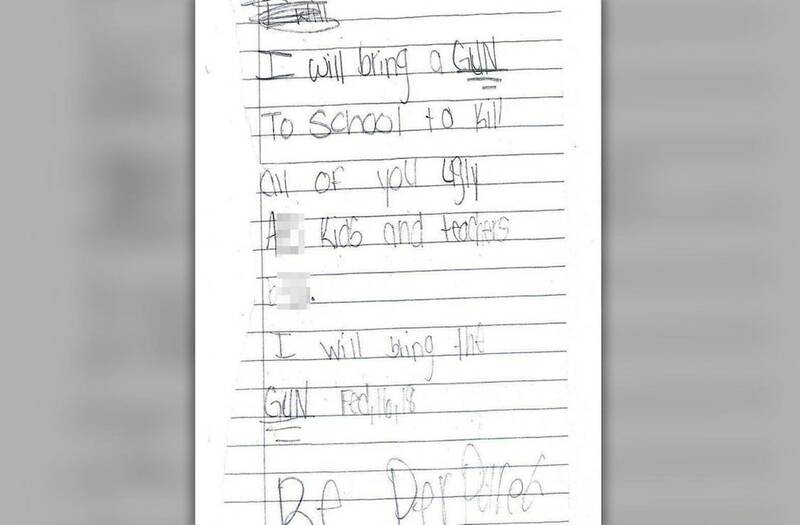 An 11-year-old-girl was arrested Thursday for writing a threatening letter saying she was going to shoot up her Florida middle school. Davie police haven’t released the video. The girl told cops a classmate threatened her to write the letter or else she would get a third student to attack her, WPLG-TV reported. The 11-year-old said the student threatened her because of a boy. She was taken to Broward Juvenile Assessment Center. The arrest comes a day after a 19-year-old Nikolas Cruz allegedly gunned down 17 people and injured at 15 others with an AR-15 rifle at Stoneman Douglas High School in Parkland.